Urban Foliage is committed to change for a greener world. Our team wants to be the green difference in your home or business. We breathe life into live and work spaces by getting to the root of well-being and happiness – healthy living environments. Nicolas Rousseau is described by his friends and collaborators as a passionate and talented engineer in horticulture with a noble vision to make a difference in our modern urban environment; he envisions to innovatively and elegantly integrate nature into urban interiors, to beautify our living spaces and improve people’s well-being, health and happiness. Nicolas’ expertise, dedication, integrity, perseverance and creativity led him to design and develop the first Living Frame in North America and then found Urban Foliage Inc. in 2010. Urban Foliage is a company that fosters wellness, happiness and health through greenery, aesthetic pleasure and air purification. Nicolas is an expert in his field. 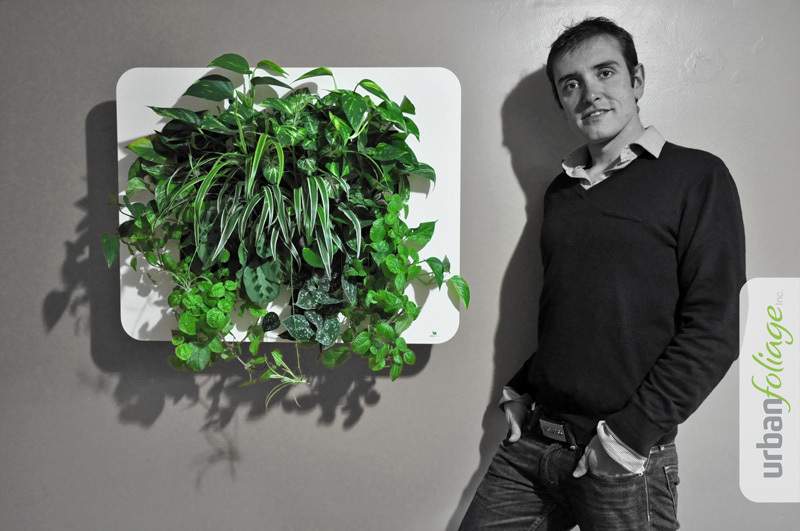 Before founding Urban Foliage, he gained a solid expertise through the completion of several projects involving the leading edge Living Wall technology in Paris, France. Nicolas is an accomplished entrepreneur but also a researcher at The Centre for Architectural Ecology at the British Columbia Institute of Technology (BCIT) in Vancouver (Canada). He has been fortunate to not only work on a large diversity of projects but also to develop his own methodologies, used more frequently in Green Roof and Living Wall Ecology for assessing the plant viability. He is also the author of several scientific papers and the co-author of Advanced Green Roof Maintenance, which is widely used in the training of green roof design and maintenance professionals. Outside of his business, Nicolas expands his passion and dedication to add greenery to our lives by offering some of his time to help Projects in Place Society, a non-profit organization, which builds greener communities within our cities. He has worked with Urban Foliage since spring 2011, and is very proud to have contributed to some recent successes: mainly in the field of expending the company’s visibility and the accuracy of its message. But Urban Foliage is still a young project, and there’s some much more to be done! Fred is thrilled to consider the work ahead – developing new products, defining an identity for Urban Foliage that will exactly convey the right image to its clients and exploring the resources of modern technology. Introducing a living ecosystem into the indoor and outdoor spaces where you spend most of your time is a positive change for you, and the world you inhabit. 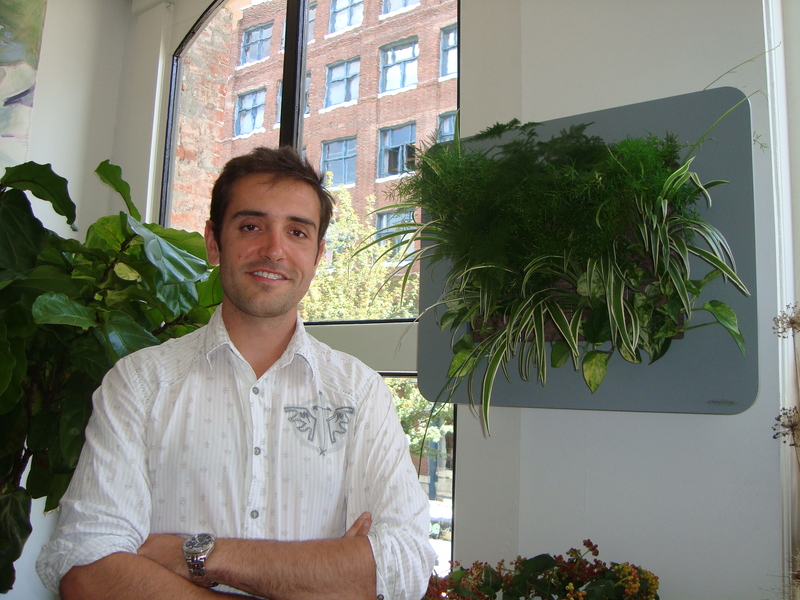 It is in 2010 that Nicolas founded Urban Foliage Inc.